Showy Lady's-slipper, Staten Island's blessing? Orchids excite greater ardor than an other family of flower. That they have maintained an alluring mystique is itself a mystery. After all, they’re every bit as much a traded commodity as the roses at the corner deli. Just check the shelves and you’ll discover the presence of an orchid in the ingredients lists: vanilla. Even obsessive scientific study, including a book devoted to orchids by Charles Darwin, hasn’t exhausted our eagerness to learn more. I believe it’s the astonishing diversity of this family that keeps us captivated. Though it’s the second most common type of flower, the orchid has filled so many peculiar niches (just about everywhere but atop glaciers) that individual varieties feel precious. In the subculture of orchid enthusiasts, our city is best known for the annual Orchid Show at the New York Botanical Gardens, underway now. But we’re also blessed with a rare, wild orchid called Showy Lady’s-slipper (Cypripedium reginae). This indigenous North American beauty blooms in the Evergreen Park Preserve on Staten Island in early spring, before the tree canopy shades it out, according to the NYC Department of Parks and Recreation. Senior Ecologist Ellen Pehek and Chief Naturalist Michael Feller of NYC Parks also tell me that the Eurasian helleborine orchid has made itself at home in Queens. 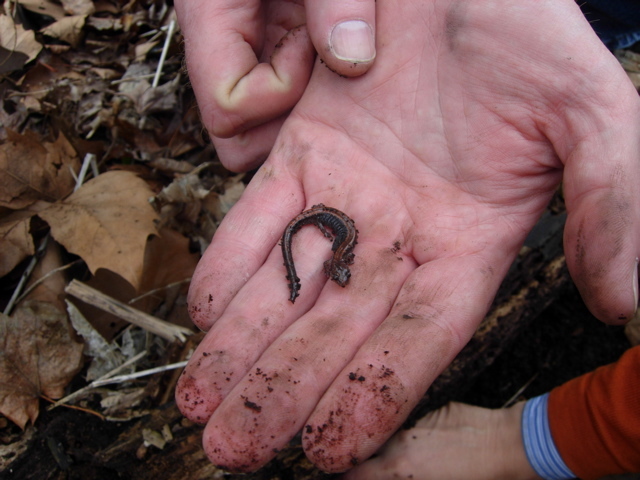 It thrives in wooded areas, so check Forest Park and Cunningham Park. All of these green spaces make for great bicycle destinations (mass transit is also a very reasonable option — no need for a car), and there’s plenty to do in the surrounding areas when you’re done orchid photographing (PLEASE DON’T PICK ANY) and hiking through the woods. Once bitten by the orchid bug, you might want to expand your local eco-tourism to include New York State parks and other preserves north and east of the city. Here’s a handy guide to the Orchids of New York published in Conservationist, a magazine put out by the NYS Department of Environmental Conservation. Most of the species listed are indigenous. 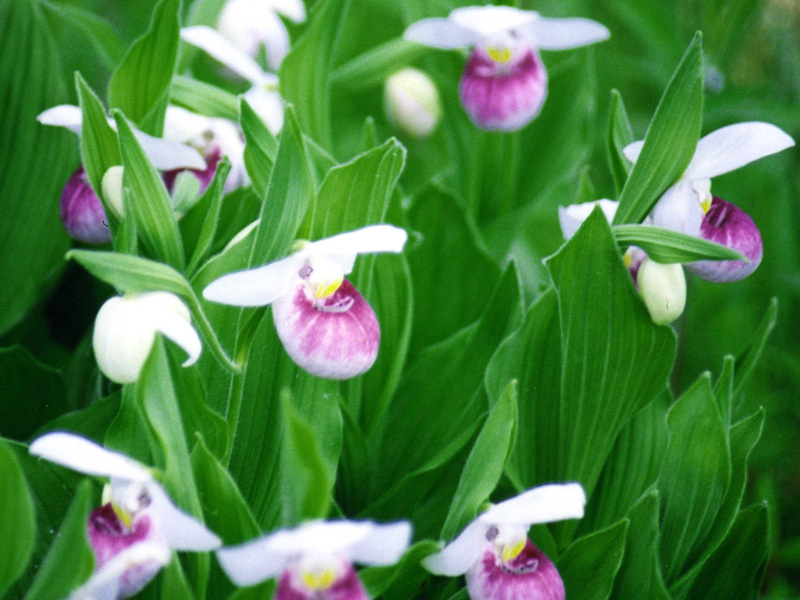 If you want to preserve the Showy Lady-slipper and other ecologically vital wildflowers, please participate in NYC Wildflower Week, May 6-15. You might even want to volunteer with this terrific organization or a local park group throughout the year.